Thanks for helping us spread the news on FB of the giveaway and audio version of Nutritional Truths becoming available on iTunes, Audible, and Amazon. Five winning names have been drawn, and they have all been notified. Again, thank you for your support! We spent every moment not asleep or in a school outside in the 1970’s on our suburban residential street of 3/2 homes. Half a dozen of us in the front yard playing touch football, hide and seek, mother may I, or just sitting, laying down, running around, freeze tag, whatever, we were outside. We were all almost always barefoot since the lawns we played in were mostly grass. Our immune system does well with a strong supply of electrons, and they can be had for free and in abundance via ones barefoot contact with the Earth. Seated or even lying down on the Earth will bathe you in electrons. Since inflammation is always a concern, these electrons produce antioxidants that help suppress it. Not too long ago there were fewer issues with humans grounding, from all the time spent outside barefoot or wearing shoes with soles made of leather since electrons can pass through leather. However today plastic and rubber in footwear block the electrons from transferring and that coupled with many spending more time inside means much less grounding. We get to shift to spending more time outside barefooted. Once you begin to do it you will soon likely understand why folks rave about it. In addition to consuming more things fresh from the Earth spend more time outside listening to nature and connecting with the surface of your planet. Doing so at this time will serve you well. Many times when seeking information I go to Mercola.com and objective intelligent and not dramatic information working to support true wellness is the focus. Have an amazing weekend and connect with Pachamama barefoot! We go to pick up our rescue puppy from the breeder tomorrow, and I will share more later. 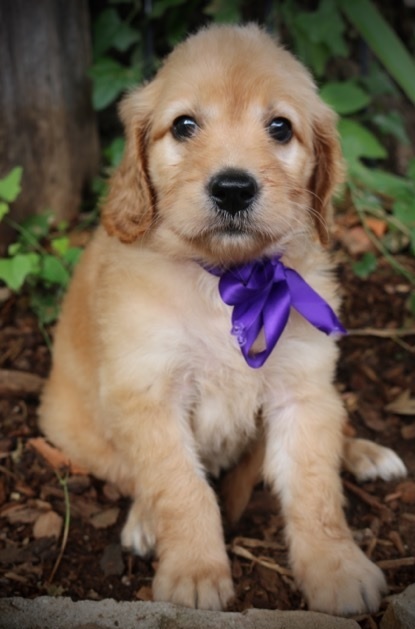 Of course, I will include a picture now-Everybody likes puppies, meet Paisley! Share if you care to and Be well!